Risotteria is one of the most well known restaurants in New York City for gluten free food. The menu includes several appetizers, salads, pizzas, paninis, desserts, and of course, many risotto options. The vast majority of the menu is gluten free. Menu items are noted if they are gluten free, dairy free, and/or vegetarian. Everyone starts off with gluten free breadsticks, whether they are gluten free or not. The staff is very knowledgeable on food allergies and I’ve always felt very comfortable eating here. I’ve been to Risotteria numerous times and have tried a little bit of everything off the menu. I’ve never had anything I didn’t like. This is a great place to order a few different dishes and share with your companions. If you can, leave room for their gluten free éclairs! With a no reservation policy and only 20 seats in the restaurant, I suggest arriving early and with only a few friends. From their gluten free breadsticks, to their risotto, to their many desserts, Risotteria shouldn’t be missed by anyone in, or visiting, New York City. 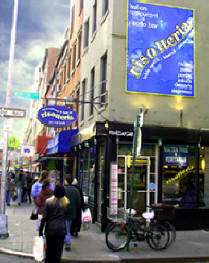 Risotteria is located at 270 Bleecker Street in the West Village. 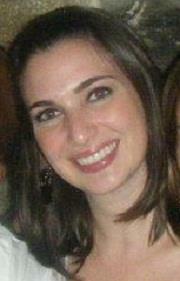 Anya Korshak is a gluten free blogger living in New York City. Diagnosed with Celiac in September 2010, Anya has embraced her gluten free lifestyle and is constantly exploring new gluten free restaurants, products, and recipes. An avid baker, Anya offers private gluten free baking classes for beginners in the New York City area. Thanks for letting us know Stewart! This restaurant is no longer open in NYC. All I can say is Risotteria is really a GREAT gluten free find in NYC. Our family stopped at the restaurant while visiting my sister in NYC a few years ago and were so excited to find such a wealth of choices on their menu. That night we enjoyed the bread sticks, gluten free pizza and risoto. Over the years, we have often ordered their bread sticks by mail just to enjoy them again – restaurant style! I highly recommend Risotteria if you find yourself in the West Village!